The Greenfield Court 2 is just a perfect investment for you to key in. 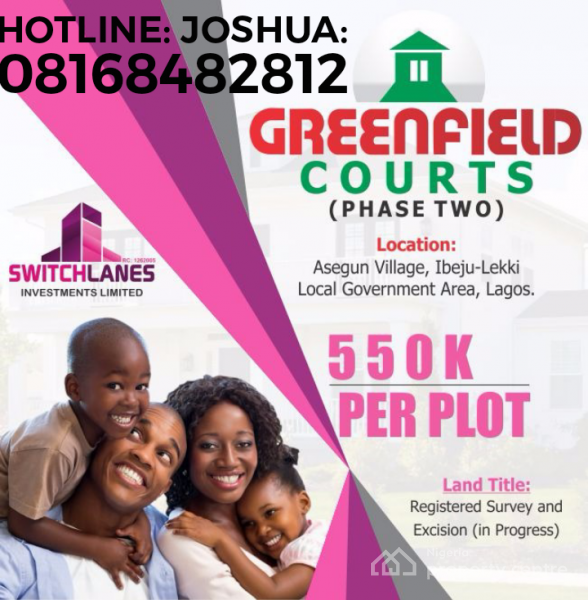 The Greenfield Court is a prime estate located 8 minutes drive after the prestigious La Campaigne Tropicana Beach Resort and 10 minutes drive from the Lekki Free Trade Zone. The information displayed about this property comprises a property advertisement. Nigeria Property Centre makes no warranty as to the accuracy or completeness of the advertisement or any linked or associated information, and Nigeria Property Centre has no control over the content. This property listing does not constitute property particulars.The information is provided and maintained by Adebanjo Global Consult.